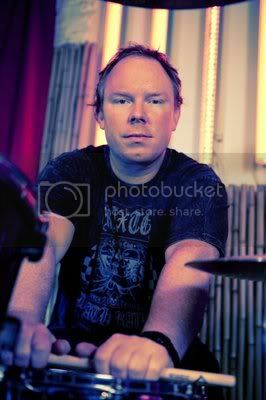 For metal fans, he’s known as the former drummer of DEATH and ICED EARTH, but for your average radio listener Richard Christy is a cast member of the Howard Stern Radio Show. With the most successful radio show as his backdrop, Christy launched CHARRED WALLS OF THE DAMNED (a name he chose from a funny phone call he made for the show). The band’s eponymous album released in 2010 achieved modest success and 2011’s Cold Winds On Timeless Days expanded the band’s repertoire. Richard called in to BraveWords.com to talk about the band’s second album and to gaze into the future. BraveWords.com: Let’s look back at 2011. The band released Cold Winds On A Timeless Day. Given your full time ‘day job’, how did the album come together? 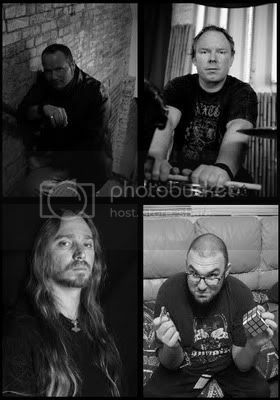 BraveWords.com: With Death and Iced Earth you were ‘just the drummer’. BraveWords.com: You’re the leader in Charred Walls Of The Damned. Is it different being in a band where the responsibility falls solely on you? BraveWords.com: Because of your job with The Howard Stern Show, you don’t get to tour or be in the studio as often. 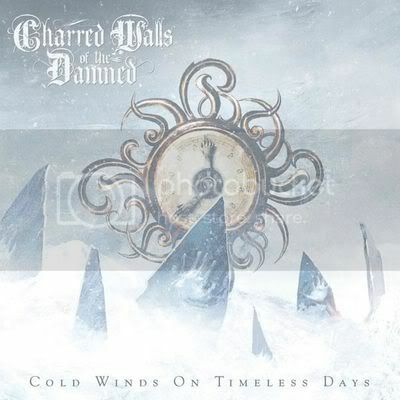 Is Charred Walls Of The Damned simply a fun project to do for a couple of years or is this really a band with a longer vision/future? BraveWords.com: Musically, the second album covered a lot of ground. Certain songs have progressive feel, some a classic rock vibe while others are more of that ‘meat and potatoes’ metal. How do you view the album musically? BraveWords.com: Not too long ago, on The Howard Stern Show, you got to meet a hero of yours - METALLICA’S Lars Ulrich. How was that? BraveWords.com: He created Metal Blade and it’s one of the biggest metal labels. BraveWords.com: What’s next for Charred Walls Of The Damned? BraveWords.com: It’ll be like 'Thriller', but to metal music. BraveWords.com: Have you started work on a third album? BraveWords.com: Is Charred Walls a ‘Richard Christy project’ or is it really a band? Could the next album have a new singer or guitar player? BraveWords.com: There’s no denying that you are a talented drummer, but yet you’re that ‘back-up quarterback’ that never gets in the game. Why did Lars not want to meet you? What went wrong? BraveWords.com: Was it hard leaving Iced Earth? 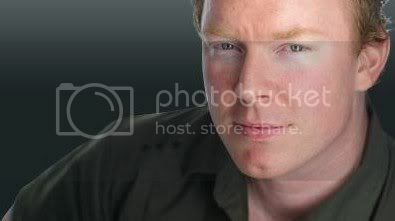 BraveWords.com: Can you imagine what your life would be like today if you hadn’t gotten the job on The Howard Stern Show? BraveWords.com: A little off topic, but you mention or Tweet often about your weight loss. You’ve lost an incredible amount of weight in the last year. BraveWords.com: Another thing you Tweet often about is Halloween, pumpkin beer, and haunted houses. Where does your Halloween obsession come from? BraveWords.com: MERCYFUL FATE as well? BraveWords.com: If given the opportunity, would you like to try to write the soundtrack music for a horror movie? BraveWords.com: Any more comedy shows? BraveWords.com: Do you prefer playing a metal show or doing comedy?